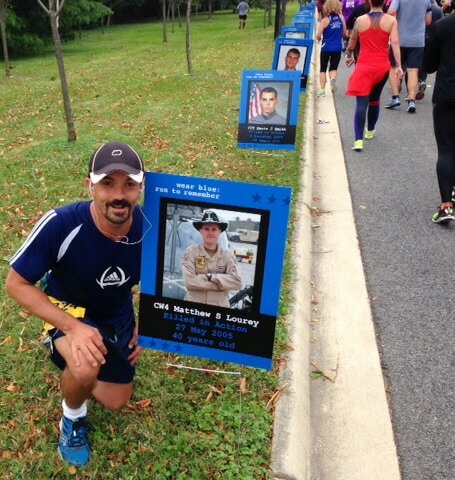 Ben Lourey poses next to Matt’s memorial along the marathon route; Lisa and Tony running together; Lisa and Becky celebrate the moment near the finish line. Matthew Lourey had an ambitious goal carried out in his loving memory by his wife, Lisa. 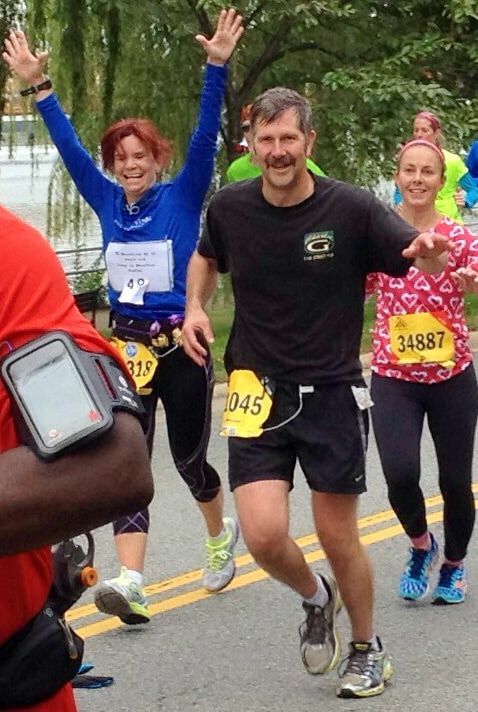 Matt wanted to run in 50 marathons by his 50th birthday which would have set the goal at July 28, 2014. Lisa decided to reach 50 marathons of her own at least before her 50th birthday – and if possible - before Matt would have reached 50. It was an especially exciting moment on Oct. 27, 2013 when she reached her lofty goal – at the age of only 44. What made it even more special for Lisa was the place, and strong support she received in making the tribute to Matt. Number 50 came in the Marine Corps Marathon in Washington, D.C. where Matt and Lisa had last run in a marathon together. Joining Lisa on the 26.2 mile journey were Matt’s brothers, Tony and Ben, and childhood friend Jan Knutsen. Mom Becky and sister, Heidi, were there to cheer all of them. 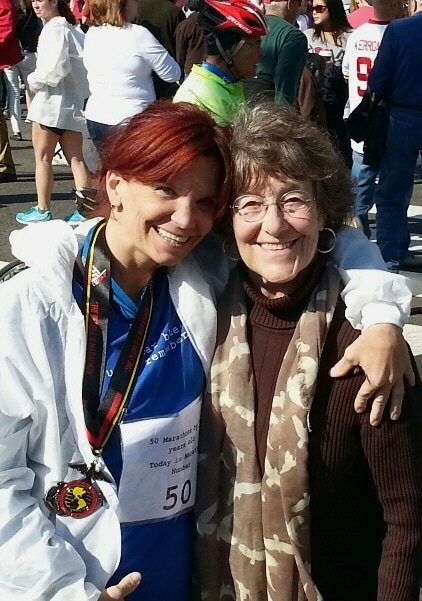 ​Lisa readily explains that running is a part of her grieving and healing process. At times she ran full marathons with only a few weeks of rest between them. Lisa and Matt met while running a marathon in Egypt where they were stationed. Lisa retired from the Army as a Major in 2009 after 21 years of service. Matt once asked Lisa if anything happened to him, would she run in his memory. The answer lives on. compared to the emptiness that comes from quitting.